The nonprofit, which directs and funds the anti-smoking Truth campaign, also hired Michael Cohen as its first VP of corporate partnerships. WASHINGTON: Legacy, the public health foundation that directs and funds the Truth campaign, has appointed Lindsey Kozberg, former VP of external relations at The RAND Corporation, as CCO. While the CCO title is new for Legacy, Kozberg is succeeding Julia Cartwright, former SVP for communications who left at the end of 2014, said Legacy president and CEO Robin Koval. Koval added that Legacy decided to "elevate" the role because the organization considers communications to be very important. Cartwright is currently serving as associate dean of communications, promotion, and public affairs for the Global Institute of Public Health at New York University, according to her LinkedIn profile. Kozberg is ideal for the organization because "her expertise touches on everything we do," from her background as an attorney, experience communicating in the science space, and time at the White House, said Koval. Since Truth’s reintroduction, Koval said the organization is "already seeing levels of awareness build." As Legacy continues to work toward helping youth "reject tobacco," the organization is cognizant of roadblocks ahead, explained Koval, such as the steady rate of little cigar and hookah use among teens. During Kozberg’s six and a half years at The RAND Corporation, she led PR and government affairs, according to a Legacy statement. Prior to that, she served as a senior associate at Latham & Watkins for two years, following roles as special assistant to President George W. Bush and director in the office of public affairs at the US Department of Education in the early 2000s, her LinkedIn states. In addition to bringing on Kozberg, the anti-tobacco national nonprofit has appointed former VP of alliance management for The Walt Disney Company, Michael Cohen, as its first VP of corporate partnerships. Cohen’s role was added because corporate sponsorships have become "a big growth opportunity" for Legacy, Koval said. The organization has long resonated with young people and since re-launching the Truth campaign for a new generation last summer, she added that the organization has noticed "natural opportunities for synergy with corporate partners [who] also have an interest in speaking to the same [audience]." Cohen served as a principal at 3MC Consulting for more than two years before returning to Disney, where he’d previously served in various roles since 1996, according to his LinkedIn profile. He spent the early 1990s in advertising at Ogilvy & Mather and Poppe Tyson Advertising. Kozberg and Cohen are moving to the nation’s capital to assume the newly-created roles, according to a statement. 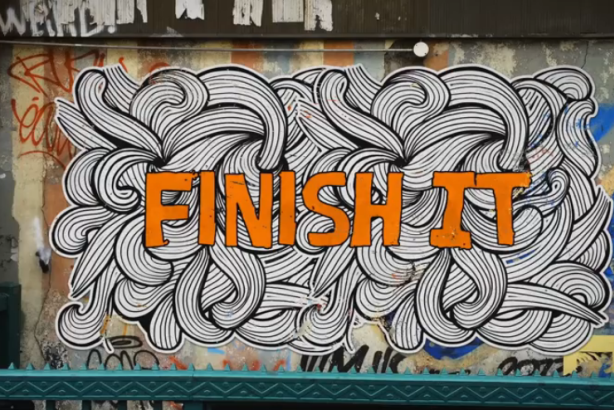 Legacy launched its Finish It campaign last August, which included the debut of two celebrity-laden ads during the MTV Movie Awards the same month. Legacy made an effort to reach teenagers on social media with the effort because Koval said at the time that teenagers "have the power to be the generation that ends smoking." In May of last year, Legacy tapped Ketchum as its PR AOR after selecting 72andSunny for creative. This story was updated on April 30 to include comment from Koval. Is the chief communications officer position going the way of the dodo?